Throughout my career, I've taught students from Grade 2 to 6. 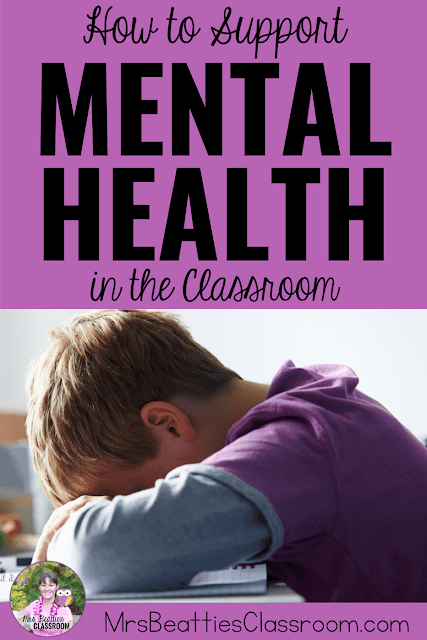 Despite the considerable age gap between the oldest and youngest, mental health concerns have been part of every classroom. While the strategies I've used in my classrooms have varied by age group, the foundation remains the same - I believe my students need to know that I care about them and how they are doing. I greet my students every morning at the classroom door. None of the fist-bumping, high-fiving greetings that are contrived for social media, though. This is simply looking at each of my students in the eye and saying, "good morning" with a smile. I want every child to know that I am happy to see them when they walk through my classroom door. 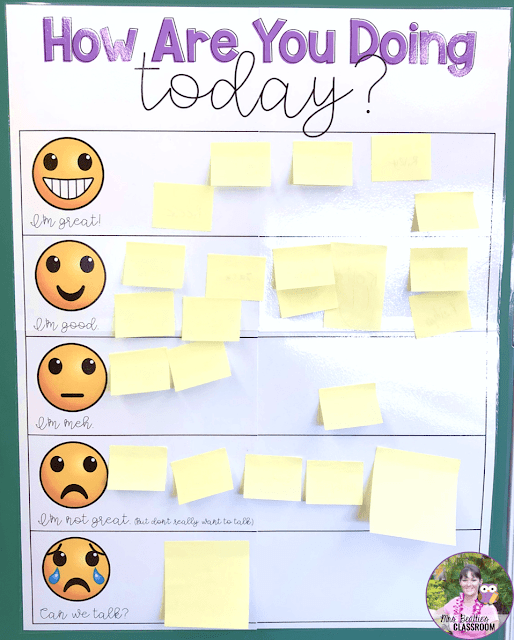 A place for my students to "check-in" to let me know how they are feeling that day. 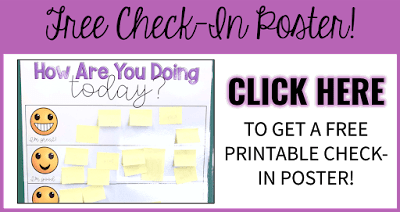 They may not be willing to share their emotional state verbally, but they never have a problem sharing exactly where they are on our check-in board. A way for my students to communicate their personal feelings and needs with me in private. This has been a great method to reach my most struggling students. Obviously, these routines looked different in my primary classroom than they do currently in my Grade 5/6 classroom, but all the components are there. In my primary classroom, I had a feelings board posted. Each of my students' names was mounted onto a magnet, and each day during our morning routine the students would place their name under the heading that best described their feelings. In a middle school classroom, the students are far less comfortable wearing their heart on their sleeve, and so their check-in on our classroom board is private. 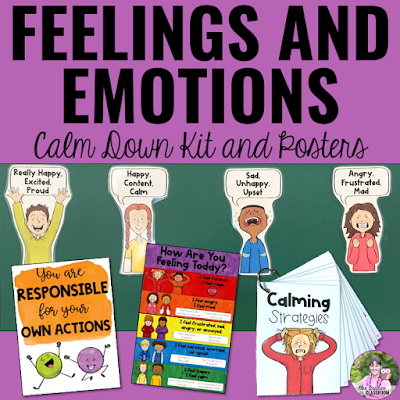 They write their name on the back of a sticky note and place it into the appropriate section of the poster to indicate how they feel as they enter the classroom. 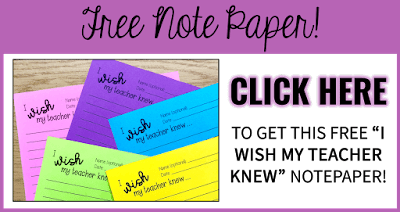 I also have a designated space in my classroom where students can access an "I Wish My Teacher Knew" notepaper and write to me privately. It is entirely optional for them to add their name to this. I have been genuinely amazed by the things my students have shared with me this year and how it has helped us build a solid relationship. 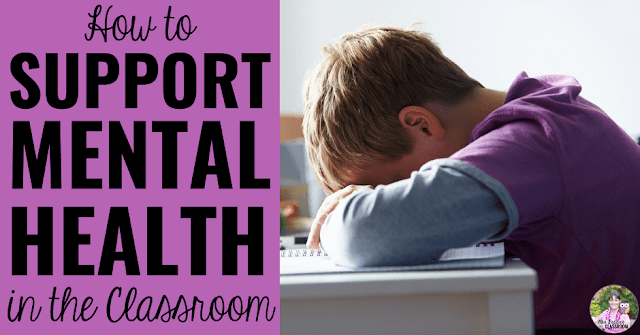 Make the mental health of your students a priority today! 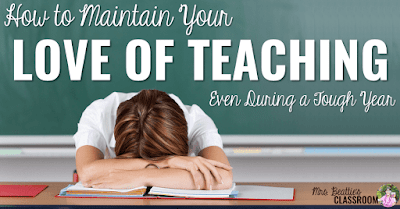 Grab the two freebies above to get started, then check out this post containing great tips about teacher mental health strategies!